In this module, sudents will use online interactive materials to investigate the nature of earthquakes. The module consists of three major sections, "What is an Earthquake? ", "The Distribution of Earthquakes", and "Measuring Earthquakes". 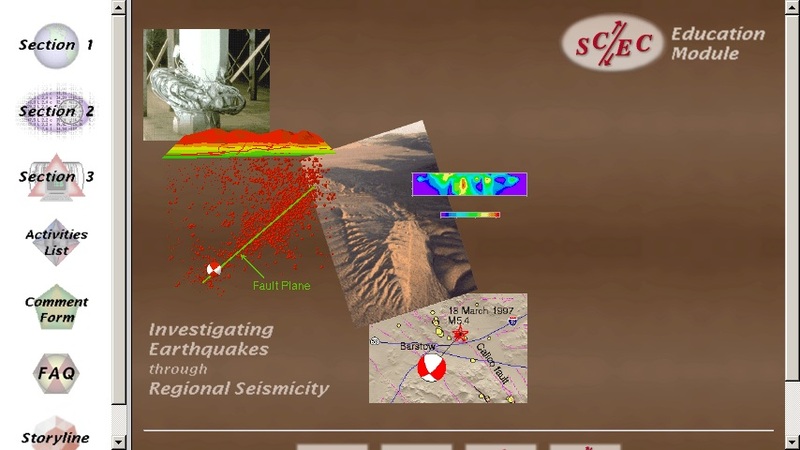 Each section presents online material for background and interactive learning activities which help them to understand such characteristics of earthquakes as their associated faults, rates of occurrence, magnitudes, and geographic distribution.